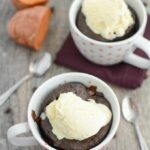 This Chocolate Sweet Potato Mug Cake recipe is a quick and easy way to satisfy your dessert craving! Time for a dessert recipe. As you know, I’ve teamed up with the folks behind Quitter’s Circle this year to share some recipes that could be helpful to those trying to quit smoking, and are delicious enough for everyone to enjoy! So far I’ve shared two snack recipes – Spicy Ranch Popcorn and Cranberry Ginger Energy Bites – which can help fight off urges to smoke. Today we’re turning our attention to dessert! While I don’t believe that every success/victory/goal met needs to be celebrated with food, I do believe there’s something to be said for occasionally enjoying a tasty dessert! And while I love making cookies, cakes, pies, etc….I don’t always love having all the extras laying around to tempt me in the following days. 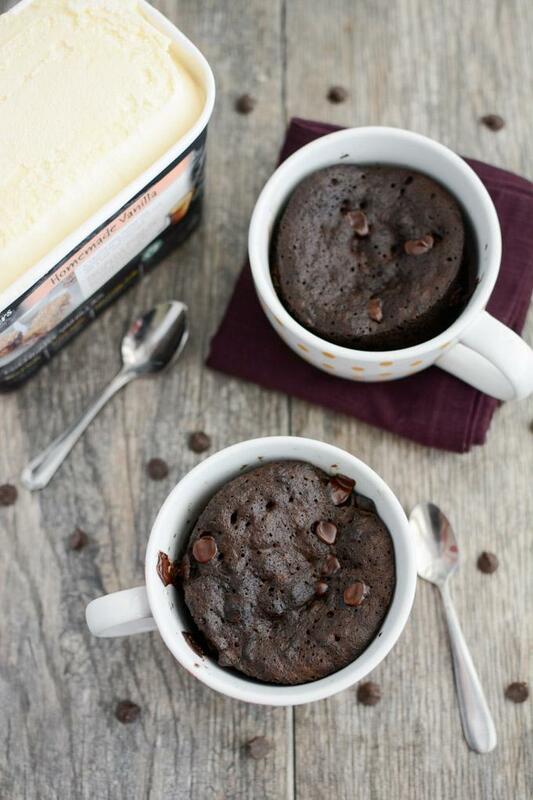 Enter this mug cake. It’s chocolatey and delicious, can be made quickly and makes just enough for one serving…so you can enjoy your treat and then move on! If you’re working on quitting smoking or supporting someone who is, whip one of these up to celebrate meeting one of your quitting goals like going x number of days without smoking or enjoying a night out with friends without taking a smoke break. 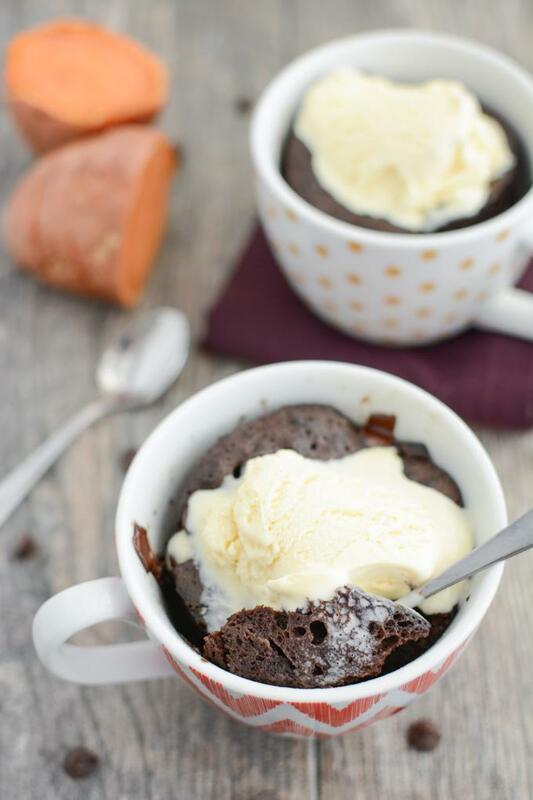 And for everyone else, mug cakes are a great way to enjoy a quick dessert with your significant other or treat yourself after a long day or week. Add egg and baking soda and stir until well combined. Pour into greased mug, ramekin or mason jar and microwave for 90 seconds. Top with ice cream if desired and serve warm. I like to mix a few chocolate chips into mine and definite top with a small scoop of ice cream. You could also top with some vanilla yogurt. If you don’t have a large coffee mug, use a small glass mason jar or a large ramekin. 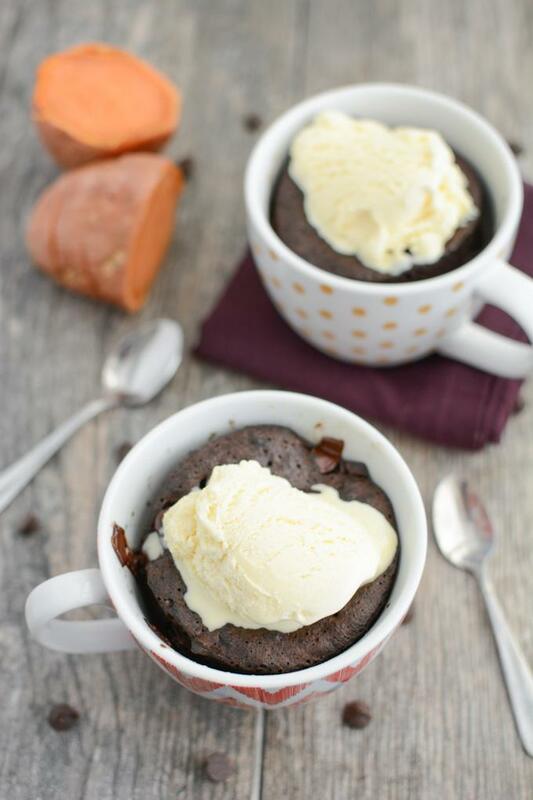 And if you’re not a chocolate fan, try my regular Sweet Potato Mug Cake! Note that while this mug cake certainly contains less calories than sitting down to eat a whole chocolate cake to celebrate, it is still dessert and should be treated as such. Here are some more ideas for celebrating success to inspire and motivate you and some other recipes you can savor with your newly smokefree senses! I love that you have this partnership going and with such a personal story! Usually, my mug cake consists of PB fit and almond milk, this looks way delicious, I think I need to up my game! I hate and LOVE you all at the same time for this recipe. I’m already obsessed with your sweet potato brownies and now you’ve just made it EVEN easier for me to eat one DAILY!!!! Oh yum! I need this right now!